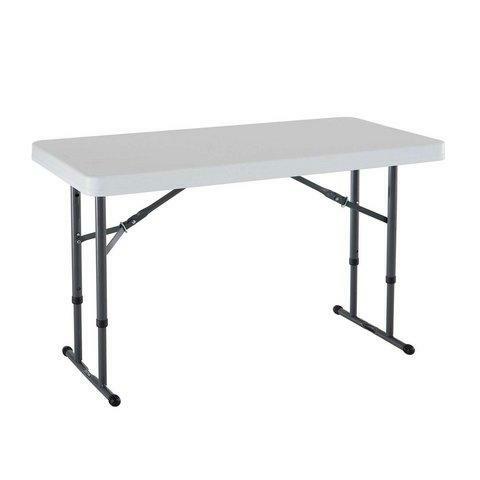 Our 4-foot long folding tables have 3 adjustable height settings, making them practical and useful for various event settings. Set them at the lowest height and use along with our kid size folding chairs to accomodate your youngest guests! 4 to 6 kid size folding chairs can be set up at each table.